The Hisscreant is a fast, violent and free-spirited monster known for its sometimes self-destructive bravado. The elongated upper teeth of this energetic creature are useless for chewing, but a quick jab introduces a dose of its stimulant salivary toxins to the bloodstream of its prey. Smaller, higher energy creatures such as rats - its preferred diet - may undergo cardiac arrest and shock as the drug takes effect, while larger organisms experience a prolonged rush of adrenaline and uncontrollable rage. 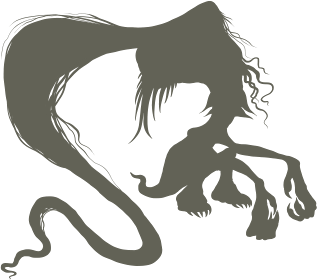 The "hair" of the Hisscreant consists of several thousand wormlike microtendrils reinforced with metal-laced keratin scales. While a single tendril is easily broken, their combined strength can easily crush bones, flog flesh and twist limbs from their sockets or simply swing the monster at high velocity from surrounding structures. Lacking lower teeth entirely, the Hisscreant swallows meals whole or piece by piece before finding a safe place to curl up and digest, sometimes cocooning itself in its own hair for additional protection. Quickly bored and easily agitated, the Hisscreant lives for the thrill of violence and will contrive any excuse it can to pick a fight with even the most formidable of monsters, circling its alleged "rival" with a head-bobbing, ground-scratching, finger-snapping territorial dance as it hurls insults and challenges. Should the creature's craving for attention go ignored or a battle feel patronizingly easy, it will use its enraging toxins to bring out what it considers the true passion of its adversary. The Hisscreant will retreat from a personally chosen battle it knows it cannot possibly survive, but will never forget the scent of such a worthy foe and seek any number of rematches until it feels satisfied, an obsession that may quickly evolve into respect and admiration for its supposed "rival." Hisscreant detest those who pick fights only on weaker, easier opponents, and a feral specimen may develop a rag-tag following of less dangerous monsters who depend upon its protection. For better or for worse, a Hisscreant can always be counted on for a total lack of fear or any sense of self preservation when the lives of friends or favorite enemies are at stake, refusing to back down from any fight it has started for the sake of others. Those wishing to work with the monster should take care to understand its limitations and step in before its pride proves suicidal. 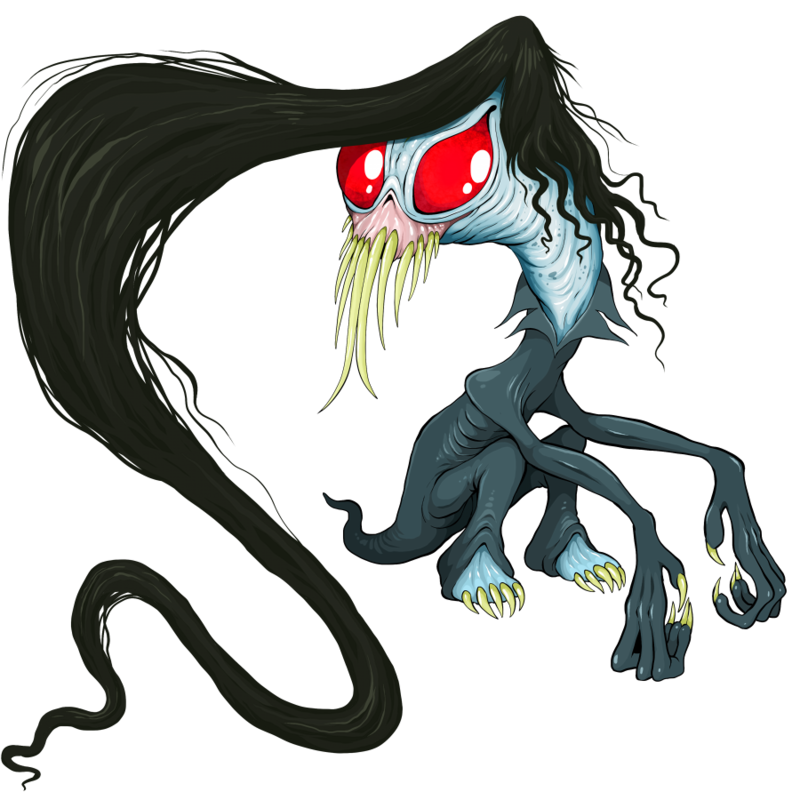 KILLER HAIR: the monster's "hair" is a collection of tendrils it may use as a powerful extra limb. ENRAGING BITE: the monster's venom causes a berserker state in other creatures.